Your filters should never be an afterthought. They should be selected with as much care as any other part of your system, because without good filters, your fluid will get contaminated faster and you are more likely to end up with serious damage to your valves, cylinders, and other parts of your system that cannot tolerate contamination. When you choose Parker hydraulic filters in Corona CA, you can rest assured knowing your system is getting excellent protection from contamination. In order to get the best performance out of your Parker hydraulic filters in Corona CA, you may want to consider also using Parker hydraulic fluids. DuraClean fluid would be an excellent choice. This ultra premium hydraulic oil from Parker has special additives that can maximize oil life and component protection across a wide range of operating temperatures and pressures. 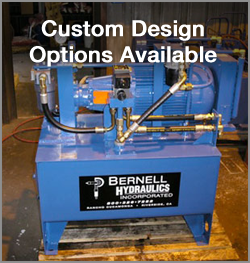 When you need new filters or fluids, you can trust the skilled technicians at Bernell Hydraulics to get you the products you need. We can also use fluid analysis to assess the performance of your current fluids and determine if a power flush is needed. You can get filter and fluid replacement services on site through our mobile repair service or at any of our stores.